Many homeowners undertake numerous activities or chores on a daily basis to keep their home in the best conditions. Gardening is one of the common chores to undertake at home, as it plays a great role in beautifying and increasing the value of a home in the real estate market. However, gardening involves the generation of a lot of garden waste, and it is wise to learn how to be a sustainable gardener. Gardening is an excellent and environment-friendly undertaking that you should pursue with much caution. It is a hobby that you should perfect with time. Most importantly, you have to figure out how to essentially reduce and reuse garden waste. Getting rid of garden waste is one area where many homeowners fail. If gardening is your interest, you have to find ample time and channelize it into a meaningful cause. This involves thinking about sustainable gardening and proper waste disposal. This is an endeavour that you should be dedicated to and amass as much information as you can. Also known as biological waste or green waste, garden waste is any organic waste that can be composted without any difficulties. These include garden rubbish such as; leaves, grass clippings, weeds, twigs, kitchen wastes and other domestic refuse. Notably, garden debris does not include materials that are rich in carbon and most of the green refuse contain high levels of nitrogen. Topsoil is a type of soil that contains nutrients and minerals and it is formed through natural processes. When you think of your garden waste, you should also contemplate how it can improve the fertility of your garden topsoil. Green waste increases the mass of manufactured topsoil, especially if you are using woody waste components that don’t decompose quickly. Mixing industrial wastes like coals dust with garden waste helps increase the water holding capacity of topsoil and keeps your plants in top condition. Garden waste can be mixed with wastewater and other sewer components to reduce the risks of pollutants and pathogens that might pose to the environment. Hence, it becomes sustainable and applicable to dispose of sewage back into the environment. Garden waste that has been biodegraded into biogas can be a great source of biofuel. It will also help reduce the dependency on petroleum gases that are major producers of carbon dioxide. As you figure out what to do with garden waste, you should keep in mind that green waste also helps improve public and environmental health. When garden waste is properly disposed of, homeowners are able to eliminate many health problems associated with air pollution and general pollution of the environment. Garden waste that is properly disposed of it has lesser chances of getting into water leading to illness. You should always take your green waste to an approved landfill. Don’t just throw your waste anywhere you feel like or any free space you find in your vicinity. It is a great idea to make compost, but you have to be cautious all the times. Some garden waste will survive being composed. Understand your green waste before you dispose of. Be extra cautious and considerate if you live next to a natural area or water reserve. Keep your garden free of invasive weeds and never dump waste into water or on public land. Common invasive weeds you should be aware of include climbers and vines. Before you undertake any garden waste disposal procedure, feel free to seek advice and information on how to get rid of garden waste from your local council or the department of conservation. Your local council will provide you with the right information on garden waste sites. Flowers, unwanted plants and clippings. Twigs, tree barks and pruned branches. Tea bags and coffee grounds. Always cover your compost to avoid any dangers that the compositing can pose to the environment and many people residing within a homestead. If composting does not work for you or you don’t know how to go about it, worry not. You can opt for skip bins. Use of skip is an incredible and reliable method on how to get rid of old grass and other related garden waste. You can purchase your own home skip bin or hire one from the best waste management dealers near you. All you need is to dispose of your waste into the skip bin, contact the best waste removal company in your locality to come and collect the disposal waste. Skip bins vary from one dealer or provider to another. Go for the best skip design that will satisfy your waste disposal needs. Go for a sufficiently large skip design that will accommodate vast garden wastes. 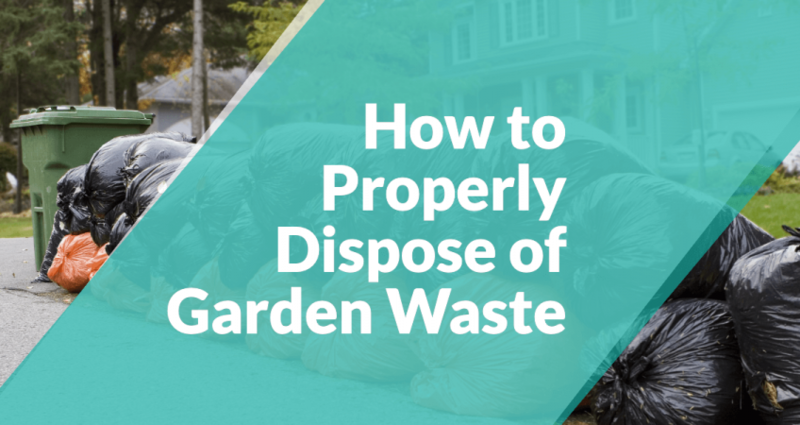 In addition, make sure you dispose of the right garden waste as recommended by a reputable waste removal company. Keep in mind that there are waste materials that should not go into a skip bin. Only green waste and domestic or kitchen waste should go into a skip. Notably, don’t put any electrical appliances, medical waste, plasterboard or asbestos into your garden skip. Before you add any extra waste into your compost or skip bin, decide whether you can recycle or reuse the waste. You can reuse tree branches and twigs for domestic purposes such as lighting a grill or for DIY ventures such as wreaths. If there are garden wastes you don’t know how and where to use them, you can sell or donate them to those in need. It is also a great idea to buy garden chippers or shredders to recycle branches into useful materials at home. This will help you to reduce volumes of waste in the backyard. You can use the chipped branches in many ways depending on your needs. If you are dealing with building waste materials, you can use them for general homestead repairs or in your greenhouses. Feel free to contact your local recycling centre and have some experts get rid of your green waste in a professional manner. 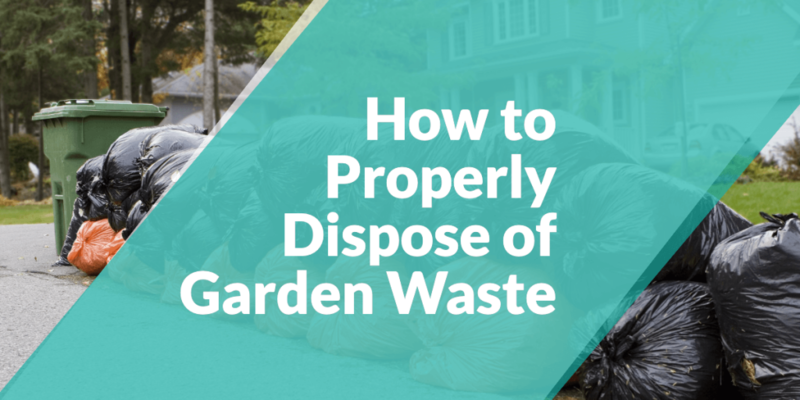 If you know the strategies to follow and dispose of waste materials, you should not have any problems figuring out how to dispose of garden soil lawfully. What you have to keep in mind is that together with your garden waste transporter, you are legally responsible for ensuring the waste reaches the desired destination without any shortcomings. Beware of environmental, social and economic costs of illegally disposing of your garden waste. If you illegally dump your green waste, you will face on-the-spot fines that can be costly, prosecution, potential loss of your property as well as unnecessary clean-up expenses. If you are environmentally conscious, you should not have problems ascertaining how to dispose of garden waste. You should at all times opt for the best waste disposal strategies. If you don’t know where to start or how to do it, there are professionals eager to help. TJC Transport will provide you with the necessary tools and information to help you in your garden waste disposal endeavours. We also offer cheap skip hire services. Contact us today for more information.